Don’t we all want to know what we are getting, or who we are dealing with? It is human nature to categorize things, situations, and people. When we go to a restaurant, we read the menu and list of ingredients to know what we are getting. Same thing when buying a car- what is the gas mileage, is there a warranty, how much does it cost? When we meet someone new, we learn about them by what we see, how they communicate, and what they share with us. It is human nature, our ‘survival brain,’ that teaches us to do this. Experience tells us human beings are very complex and not so simply placed in one category or another. Labels make it easier for us: we might think we have a clue about what this person appreciates, what they like or won’t like, what they value; however very few times in life does this hold true once we actually get to know the person. Take, for example, the LGBT community: we are often overlooked and assumed to be heterosexual or of one particular gender identity. Simple questions like, “What does your husband do? How many kids do you have? Are you wearing a dress to prom?” are all meant to get to know the other person, to bring us closer as humans, to establish a connection. But in reality, for an LGBT person, this can feel awkward, isolating, infuriating, and marginalizing. I even recognize that “LGBT” doesn’t capture everyone; there are Queer, Intersex, Pansexual and Asexual people, and more who deserve recognition as well. For the purposes of this short blog, I am giving myself permission to use the common LGBT “label,” hoping not to offend or leave anyone out. Another twist to the LGBT population is that our identities are often fluid as we move through life. Adolescence and young adulthood can be a period of change and discovery; dating, friendships, and self- expression are all to be explored so that we may move successfully into adulthood. In some households, maybe even some schools or communities, this exploration is not encouraged, and complicates how the person sees them self and how much of themselves they are willing or able to share. As we grow older, circumstances may change. Sexuality, sexual orientation, and gender expression can be very clear for some people and more ambiguous for others. Knowing this, our urge to “label” someone, or even ourselves, for that matter, can fall short. I propose we label ourselves when we are ready, even if it is “Questioning,” which is a true label. Try asking our wonderings differently: “How do you see yourself or your identity? Who is in your family? What will you wear to prom?” Approaching others like this can bring us closer together and quickly establish “friend or foe” without all the awkward or hurtful moments that our old assuming/ labeling brain does for us. 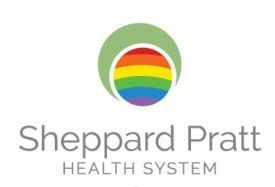 As the director of one of Sheppard Pratt’s residential treatment programs, I strive to support my staff in truly learning about each other and our residents and families, versus placing labels, which have hurt so many of us in the past. I challenge you to think about someone in your life – whether it’s a colleague, student or simply someone you pass on the street – whom you’ve labeled before getting to know. Revisit that thought process. Take some time to get to know this person, or someone else you encounter down the road. It may mean setting fears aside, and asking what’s really on your mind. Strive hard to learn, truly learn, about this person and not place labels just because it’s easier or more convenient. This can create an opportunity to truly connect, and better understand individuals and the world around us. Maureen McGuire, LCSW-C, is the director of The Jefferson School in Jefferson, MD, which is a comprehensive DBT residential program and a specialized educational day school for middle and high school aged students who are experiencing issues including psychiatric conditions, behavioral problems, substance abuse, autism spectrum disorders and other social emotional challenges. Ms. McGuire has been with the Sheppard Pratt Health System for 15 years. She received her undergraduate degree at Loyola College, her MSW at University of Maryland at Baltimore, and post graduate certificate in Clinical Supervision from Smith College. She is passionate about diversity issues and reducing stigma and shame in its many forms.